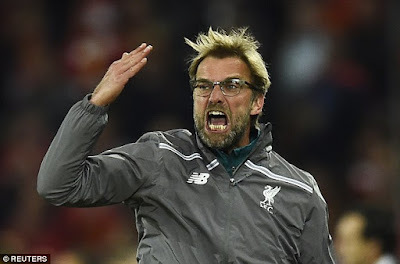 After last night's 1-0 defeat to old enemies Chelsea in The International Champion's Cup competition, Liverpool get a chance to make amends early Sunday morning against Italian side AC Milan, (didn't we beat them before somewhere important). I didn't see the Chelsea game as I have to renew my Lfc subscription but, from what I can tell, a draw leading to penalties would have been a fairer result on the night. As it always has been, pre-season is about gaining fitness, integrating new players into the squad, working on tactical formations and having to play a few annoying games in the process. So our 1st defeat in five off-season games is nothing to get too worried about although it is annoying to lose anytime to Chelsea. AC Milan at 3:05 am Sunday morning under their new manager Vincenzo Montella is a chance to redeem ourselves, play a few more of the senior players and maybe beat the Italians again at The Levi's stadium, San Francisco. By the way, heard Moreno was awful again, when is Klopp gonna get rid of this guy and buy a proper left-back?